Veteran Canadian-based socialist and activist Ernie Tate has been writing to English group Left Unity on the struggles in Canada provoked by the rise of Donald Trump south of the border. A lifelong revolutionary who migrated to Canada from Northern Ireland as a young man, Tate was one of the most important activists of the Vietnam Solidarity Campaign in the 1960s and has recently produced a two volume memoir, Revolutionary Activism of the 1950s and 1960s. To widespread dismay, Canadian Prime Minister Justin Trudeau announced on November 29 his government’s approval of the expansion of Kinder Morgan Trans Mountain pipeline, which will transport tar sands oil from northern Alberta to the British Columbia coast. 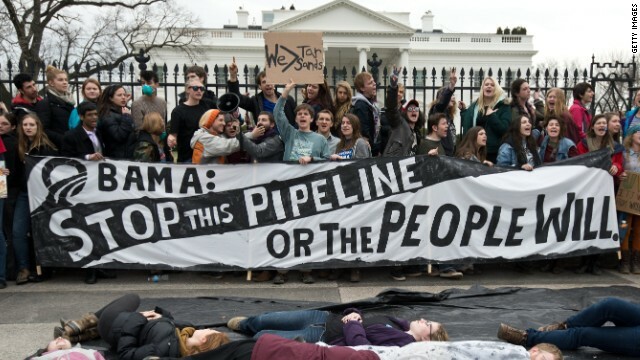 After seven years of intense public campaigning on the Keystone XL, a pipeline that would have bisected the United States carrying the world's dirtiest oil, US President Barack Obama denied Canadian oil company TransCanada a presidential permit for construction on November 6. The president cited the pipeline's projected contribution to climate change in deeming it not in the national interest.